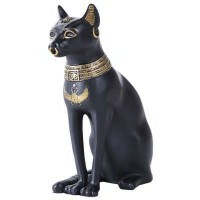 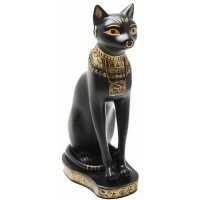 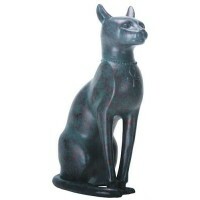 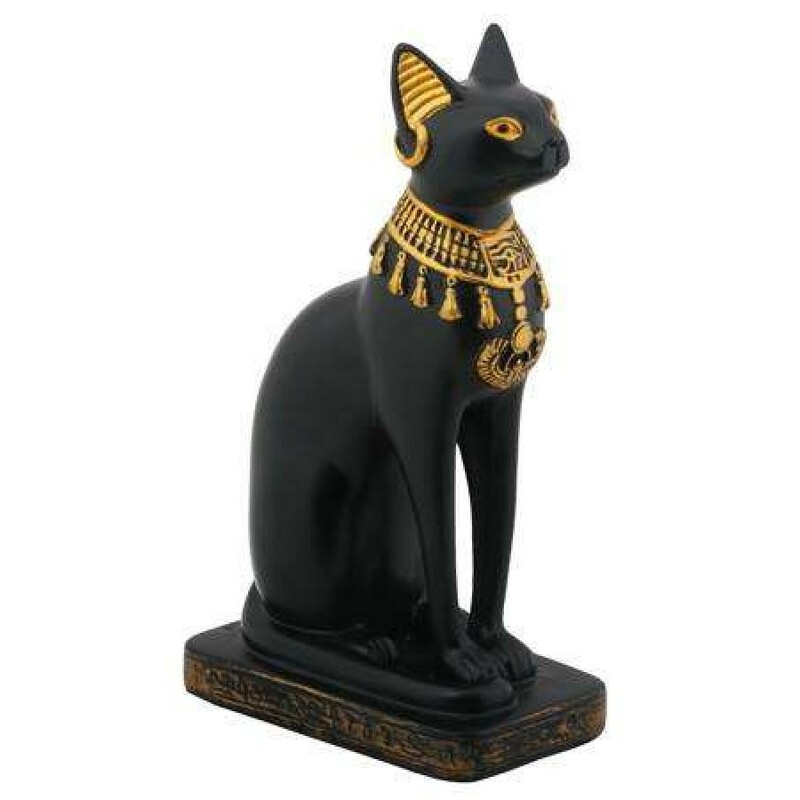 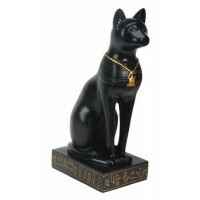 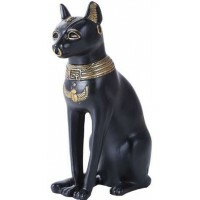 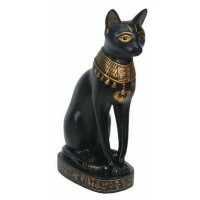 Black cold cast resin statue of Bast has gold necklace with lotus blossoms and scarab. 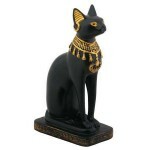 She measures 5 1/4 inches high. 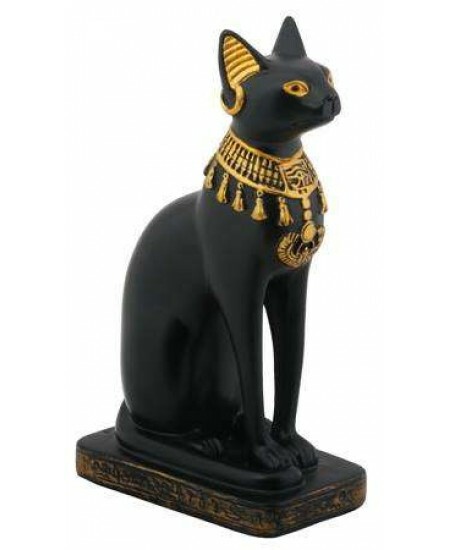 Item Number: YT-5392 | Approximate Size (Inches): 2.00 wide x 3.00 deep x 5.25 high | Approximate Shipping Weight: 1.50 lbs.